This Large Print Unabridged Edition is cleanly formatted for easy reading. 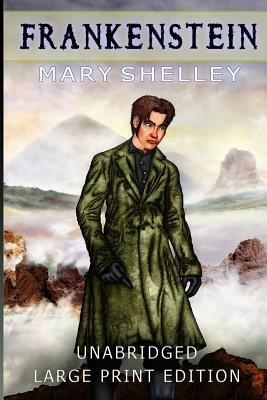 In her novel Frankenstein, Mary Shelley delineates the story of the eccentric scientist Victor Frankenstein, who creates a gigantic monster in an irregular scientific experiment. Frankenstein is infused with richly Gothic elements and is considered to be one of the forerunners of science fiction novels. Shelley began writing the story when she was eighteen, and the novel was published when she was twenty. The first edition was published anonymously in London in 1818. In 1823, Shelley's name appears on the second edition.